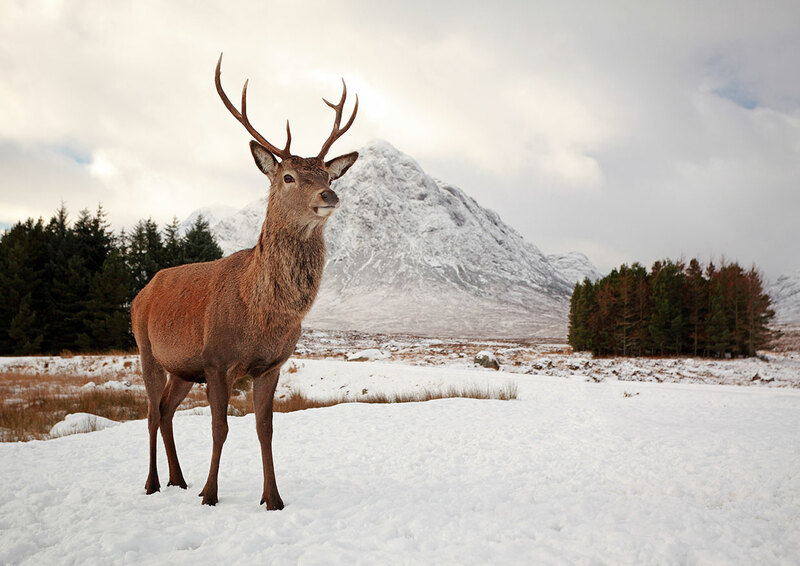 The deer stalking tradition in Scotland has centuries of history behind it, very few pursuits offer the same combination of solitude, skill, excitement and sense of achievement. At Laudale it offers a unique way of exploring the unspoilt beauty of this part of Scotland and the chance to glimpse some of the local wildlife. Our experienced stalkers employ skills developed over many seasons to read weather conditions, locate and approach the deer without being detected and help you make the best shot possible. Ideally stalking groups are 4 – 6 people in number, our Stalkers are more than happy to take beginners and experienced Stalkers out, those that have not stalked before will be asked to practice on the range before going out. The Stalking season runs from July until February, Stalking is available at an additional charge, must be pre-booked and may be subject to weather conditions. Guns are available for hire at £30 per day. Out of season or for those who do not wish to shoot, but would love to experience Stalking, we can also offer ’Photo stalking’ which provides superb opportunities for taking beautiful photographs of deer in some truly striking scenery.